ATTN INVESTORS - MODEL SALE & LEASEBACK Opportunity! UNDER CONSTRUCTION NOW in hip NoDa! Classic brownstone look with modern loft-like interior. 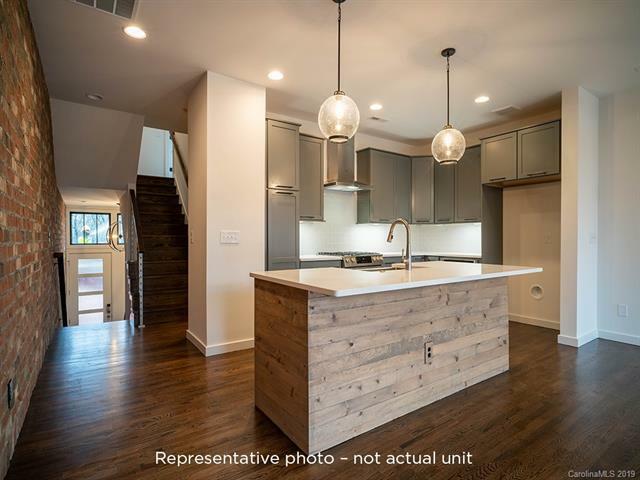 Includes interior brick accent walls, site finished hardwoods, tons of large casement windows, cable rail stairs, Bosch SS appliances w gas range. High quality interior finishes, included tech package plus 2 car attached garage. Ask about available tax credits. Price includes upgrades. Walk to the new LYNX light rail station and all that NoDa offers!